audiobuilder 2.0 coming soon: new projects, new adventures in audio! 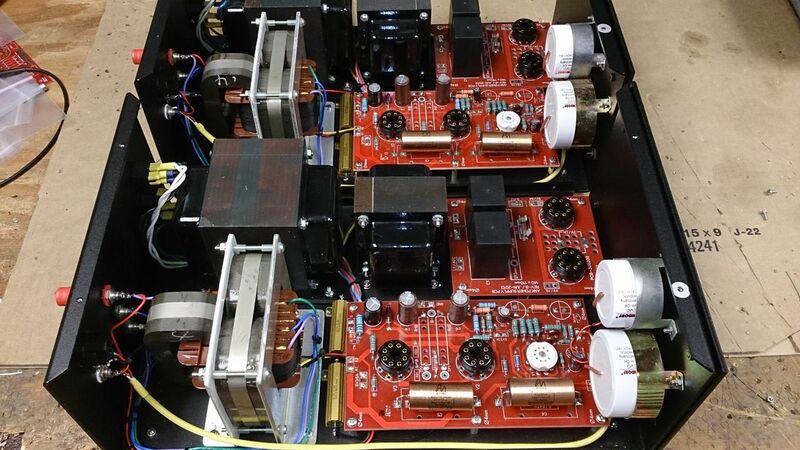 Taking the EL34 monoblocs to the edge! Last week I did a fairly major upgrade for a special client. 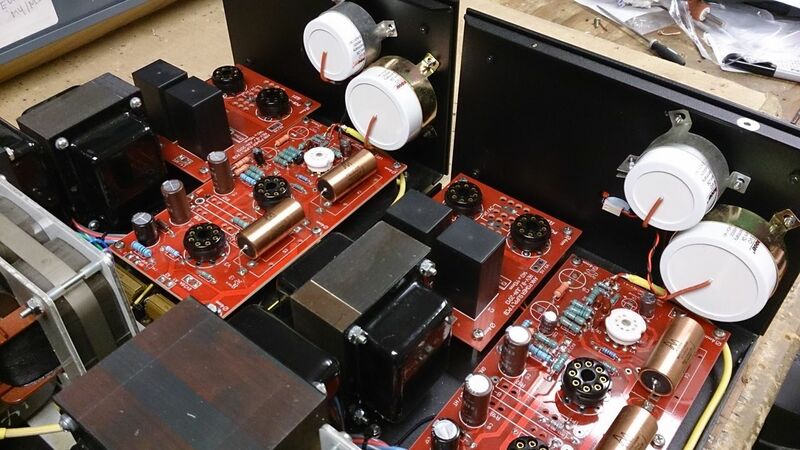 So, what do you do when you want to take your already-great-sounding, C-cored, Audio-Note-copper-foil-capped, dual-GZ34-rectified EL34 monoblocs to the next level? Well, first, he wanted to move heat away from the Elna SILMIC cathode caps, so we switched from the stock Ohmites to a pair (per bloc) of Mills non-inductive 50W wirewounds for the cathode resistors- they now run cold to the touch, and frankly, they look pretty serious too. Secondly, and most noticeably, he wanted to eliminate as many electrolytics in the B+ supply, so we substituted in some impossible-to-miss massive Mundorf EVO film caps, which necessitated some creative layout mods and some chassis drilling. In the end, I was very pleased with the result. They definitely catch the eye (and the ear- more on that later!) 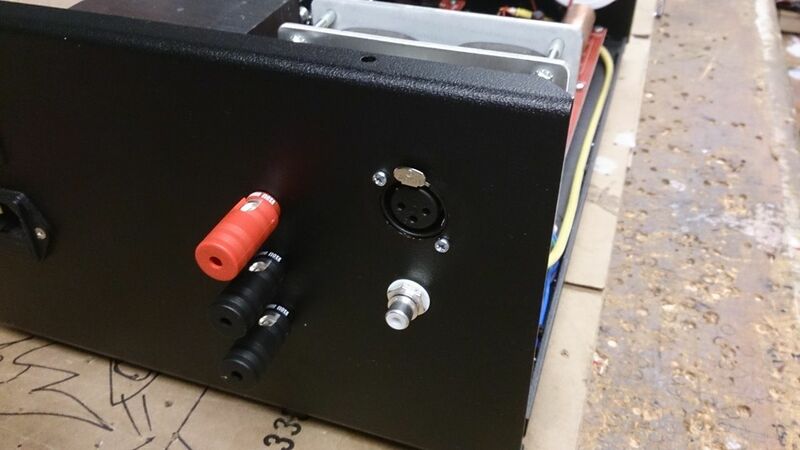 Finally, he wanted to use the balanced output on his preamp so I added an XLR socket – a first for the EL34 monoblocs. So, how does it all sound? The handful of people who have heard it so far have been really impressed. The power supply mods definitely add clarity. In fact, because we were so taken with the sound, you just might be seeing these mods as an available upgrade to the kit in the not too distant future. It just goes to show that there’s always room for a little tweaking! Welcome to a faster audiobuilder.ca!